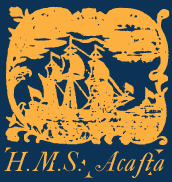 The latest orders from the Admiralty have required an interesting change in the routine of Naval life aboard the Acasta, or at least for two of its members. Dr. (name withheld) and I are to be set ashore in the United States on a mission of Great import. A task which may take us far away from the waters of the Naval world. Early in my Naval career, as a young Midshipman, I had many dreams and ambitions of the many glories that surely lay before me. Never in all my imagination could I ever have foreseen that the Requirements of the Service would ask me to participate in acts of such a Politico nature. It would seem that my mind will have to my countenance must become accustom to subterfuge as my legs become accustom to the land. But, as they say, we are not the Designers of our own Destinies. The Lieutenant and I continue Southwest in our attempt to intercept the courier who bears the stolen packet. We are both filthy and exhausted from our journey as there as been a good deal of rain of late. We have discussed it amongst ourselves, and are both of a mind to pool our funds and stay in a nearby tavern, but have discovered the critical flaw in our plan is that we have very little in the way of what would pass for 'coin of the realm'. While I suspect that the people of this area would take any of the money I have in my pockets, I do not wish to raise too much suspicion with foreign coinage. The weather these past five days has been remarkable foul. Mist and fog with winds variable hardly blowing from a consistent quarter for more than an hour solid. The crew is exhausted. Three days were had all hands watch and watch as we beat back up the coast with never a day where noon sights were possible. Early this A.M. we were able to pick up a pilot coming out from Ketch Harbor and make our way into Halifax. 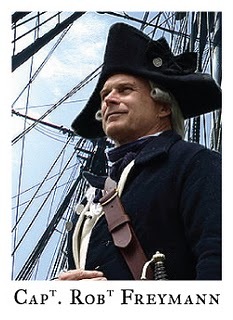 We are now safely anchored in harbor and the Captain has gone ashore to call on Vice Admiral Sir Andrew Mitchell. The weather today has been miserable and wet, autumn has begun in full force here. The leaves cling to my boots in great wet clumps as we walk. Good English weather. We head toward the Southwest along the rough roads of this country. We have taken great pains to avoid people and towns as we go. We thus far have traveled mostly during the night, hoping that the darkness would protect us from being spotted by the locals. Our eventual destination is some ways off, and we must make good time in order to intercept the American courier who is in possession of the stolen packet. My mind has been on Mr. M------, my surgeon's mate back aboard the Acasta. He is a capable fellow when it comes to surgery of course, but I am concerned for the men aboard the Acasta should there be a grave injury whilst I am away. It seems quite a foreign thing to absent myself from my post and be on land, even if it is on the King's business. We have arrived at the coast. Position 44˚04’ N 68˚25’W. I have lead a part to dropped off the Doctor and a Lieutenant ashore in the dark to conduct some personal business. Boats and crew returned to the ship without incident. 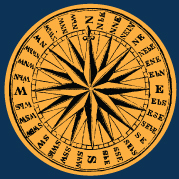 Ships course ENE. Weather clear with winds out of the NNE steady. The captain has given orders to bend on all sail course due West. We have been making 9 knots. At this rate and course we will make land fall in 2 days in southern New Brunswick new the territory disputed by the Americans. Weather clear with winds out of the NNW. Noon sightings 40˚ 58’ N and 60˚ 17’ W. This puts us around 257 sea miles ESE of Halifax. 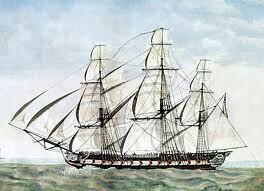 I am expecting orders from the Captain at any time to make for Halifax for fresh water , firewood and other stores. Guns were exercised during the forenoon watch with much slovenliness. As a result seaman Gutterpup had his foot rolled over on the recoil. Odd however, for there was no blood. Just some swelling and his leg seemed to be attached at a most peculiar angle. The seaman was carried to the surgeon. I was called into the Great Cabin at six bells in the Forenoon watch with 3rd Lieutenant (name withheld). Lt. (name withheld) and myself have been assigned a covert mission to recover a packet of important papers that has fallen into the hands of an American intelligence agent. It is believed that this agent will pass the papers on to a more prominent American agent on or about 7 October. Capt. Frymann has ordered us to go ashore in our regular clothes in an attempt to recover these papers and discover the identity of the prominent American agent. We were told to carry our Navy commissions along with a letter writ by him in the event that we should encounter other Navy men and might need to enlist their aid. The Captain has inform'd us that starting on the 20th October (giving us just under two weeks to get there and two to get back) he will begin to bring the Acasta in near the coast daily at [a pre-set time] for an hour and look for our signal in order to be able to retrieve us. He has called to the Armourer for a RED Congreve rocket for us to fire when we are ready to signal the Acasta for our return. The Captain took the Acasta in as close to shore as he felt he could get at around five bells in the Middle watch in order to avoid the attention of the American ships stationed nearby. Mr. (name withheld) and I packed our civilian clothes and were escorted ashore in one of the longboats by Lt. Hamilton. We were dropped ashore and Hamilton saluted and wished us 'happy hunting'. Mr. (name withheld) and I checked our pistols to ensure that they were in good working order and stowed the red rocket in our bag. We watched as the longboat pulled away for the Acasta, and then made our way up from the coast to the nearest road by moonlight.